This is PART 1: The pre-race routine before getting into your starting blocks. PART 2: The pre-race routine getting into your starting blocks. 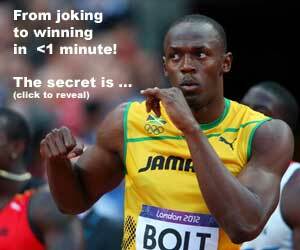 Usain Bolt is famous for being super relaxed and dancing and playing to the crowd BEFORE he races. In fact, we saw Asafa Powell change his demeanor at the 2009 World Championships in Berlin which helped him relax and win a bronze. Instead of staying focused, not speaking to anyone, and staring at the ground, they were high-fiving, chest thumping and playing to the crowd. But before Usain Bolt came along, it was actually a WOMAN who started this ritual of a pre-race dance or exercise. 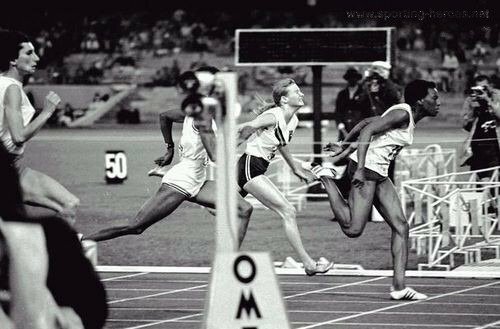 Long before Carl Lewis became the first man to win back to back 100 meter Olympic titles (and you can contest that as his silver from 1988 was bumped up to Gold following the Ben Johnson disqualification), that feat was accomplished by a women. Wyomia Tyus won the 100 meter Gold medal in the 1964 Tokyo Olympics and 1968 Mexico Olympics. She came from the famed Tennessee State University “Tigerbells” Track and Field program. What people don’t remember is she did a pre-race dance in 1968. The hit song at the time was "Tighten Up" by a Houston, Texas based R&B vocal group called Archie Bell & the Drells. It reached #1 on both the Billboard R&B and pop charts in the spring of 1968. She did her funky dance before getting into the starting blocks in Mexico City. It helped that the first four rows near the starting line were Americans and had bongo drums and started playing this song. And you thought Gabe Jennings invented this? There was immense pressure for Wyomia Tyus because she was the defending champion and no one had ever won consecutive Golds in the 100 meters, male or female. 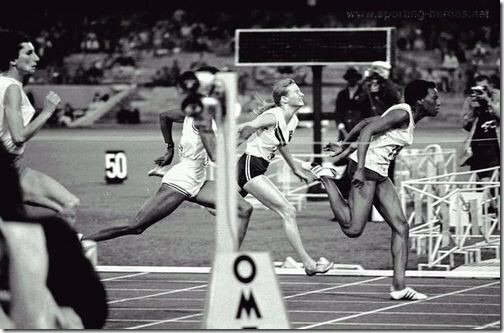 Australia’s Raylene Boyle, who would go on to stellar career after her 4th place finish in Mexico (triple gold in 1970 and 1974 Commonwealth Games, along with a 400m Gold in the 400m in 1982), admitted a year later when she met with Wyomia Tyus that her pre-race funky moves psyched her out. USA’s Barbara Ferrell was 2nd and Irena Szewinska finished 3rd. Chi Cheng of Chinese Taipei (Taiwan) finished 7th in that race.